There are potential spoilers for The Division 2’s story in this article, so read on at your own risk. The Division 2’s endgame will hinge around a “super compelling” story beat that will “take people by the scruff of the neck and drag them into endgame.” In a video posted by Ubisoft North America, creative director Julian Gerighty and game director Mathias Karlson both discussed what players can expect to see around the end of the game. Gerighty stated that Ubisoft has a “huge amount of activities for endgame,” but acknowledges that it’s not always enough to simply offer the players a lot to do. Will The Division 2 prove to be a Destiny killer? Check out our list of the best multiplayer games. 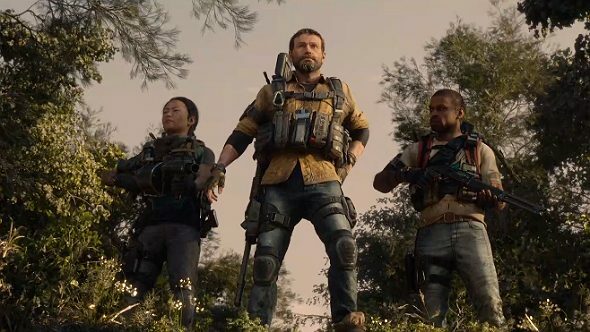 With that in mind, Gerighty also says that The Division 2’s story has been designed to encourage players to stay with the game even after the narrative has drawn to an end. “We have a twist at the end of the campaign which is a huge hook, narratively and gameplay-wise, that will take people by the scruff of the neck and drag them into endgame, and it’s super compelling,” he says. The Division 2 release date is March 2019, which means you’ll have to wait a little while before you can head to Washington – The Division 2 is in the US capital set six months after the events of the first game.